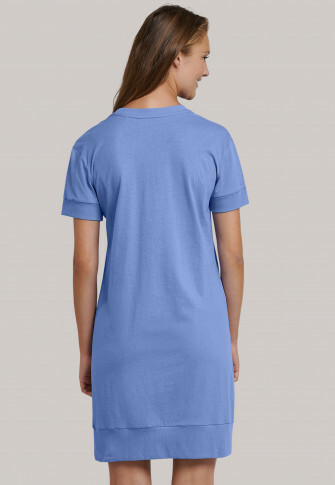 This Atlantic blue, short-sleeved nightshirt for women is your new favorite for the summer! 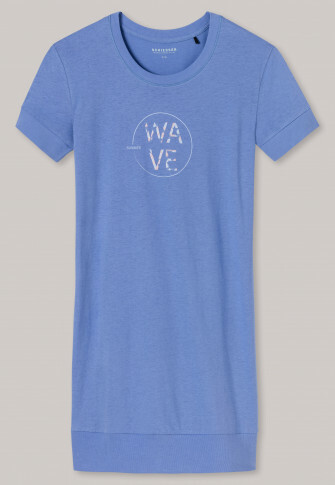 The multi-colored, surfer-style "Wave" lettering give it a stylish accent and makes this nightshirt much more than a simple basic. 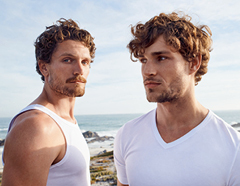 The double-rib cuffs on the sleeves, hem and wide collar also make it amazingly comfortable and the soft single jersey made of 100% cotton flatters the skin. 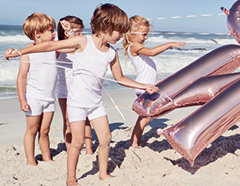 Nightwear to enjoy in the best SCHIESSER quality! Habe schon mehrere mit langen Ärmeln. Das kurzarm-shirt ist wie die anderen schön weich und sehr angenehm zu tragen.